In Wes Anderson’s hit film The Life Aquatic, Captain Steve Zissou attached a “homing dart” to a Jaguar Shark so he could later track it down and kill it in an effort to avenge the death of his friend. Continuous yellow blips on their ship’s instruments allowed Team Zissou to track the shark across the ocean leading to their climactic confrontation. While the Jaguar Shark was pure fantasy, the shark tracking equipment actually was not far off the mark. Recent advances in fish tagging technology have now made it possible to follow the movements of large pelagic species wherever they may travel. There are two basic types of satellite tracking tags currently available. The first type is called a satellite-linked radio transmitter (SLRT) or “smart” position-only tag (SPOT). These tags communicate with Argos satellites whenever the transmitter’s radio antenna is above the water’s surface, allowing near real-time tracking for up to several years (assuming the subject stays near the surface). The second type is called a pop-up satellite archival tag (PAT or PSAT). PSATs archive depth, temperature, and light level readings for up to one year from deployment, then are programmed to detach and float to the surface. All of the archived data are then uploaded to the satellite at one time, and tracks are reconstructed using the retrieved data. • A whale shark tagged in the Sea of Cortez, Mexico, swam over 7,500 miles westward across the Pacific Ocean, past Hawaii and almost to Micronesia. • White sharks were long considered to be coastal species, but satellite tagging off California revealed that they spend about half of their time migrating thousands of miles offshore, sometimes swimming all the way to Hawaii before turning around and swimming back to the California coast. Figure 2. Migration patterns of white sharks tagged with satellite tags off California. These sharks spend much more time in offshore waters than historically believed. See Jorgensen et al. (2009) and the TOPP program web site for more details. • A white shark tagged off South Africa swam to Australia and back in about 9 months, averaging 70 miles per day. • The winter habitat of basking sharks from New England waters was a lingering mystery until satellite tagging revealed that they migrate southward to the Caribbean Sea, and even cross the equator to the waters off Brazil. • Porbeagle sharks tagged off Canada’s east coast migrated south through the open North Atlantic over 1,400 miles to the Sargasso Sea. These eye-opening findings are not only limited to the scope of geographic (horizontal) movements, but are expanding our understanding of how these species use the water column (vertical movements). Many sharks that were thought to be confined to near-surface waters have shown that they frequently dive to great depths, sometimes exceeding 3,000 feet, where oxygen is scarce and temperatures are below 40 °F. We are beginning to transition from the era of, ‘Wow, look how far these sharks swam!’ to ‘Gee, I wonder why these sharks swam so far?’ Is it for food? Is it for reproduction? Are they just wandering aimlessly? Satellite tags are also being used to address questions other than just movement, including things like habitat selection, post-release survival, physiology, and population structure. They are also providing insights into how climate change may affect distribution and migration dynamics. The fact that these sharks can travel such great distances has numerous implications for conservation and management. For one thing, subpopulations thought to be widely-separated across the oceans, may actually be linked through movement and dispersal. It has also become clearer than ever that improved international cooperation is a necessity to effectively manage these species that show no respect for geo-political boundaries. We look forward to further improvements in satellite tracking technologies, and would encourage researchers to continue to move toward hypothesis-driven studies that address the questions of “why?” However, there is no doubt that as more satellite tracking studies are published, and more species are examined, we will continue to be wowed by the results. Bonfil R, Meyer M, Scholl MC, Johnson R, O’Brien S, Oosthuizen H, Swanson S, Kotze D, and Paterson M. 2005. Transoceanic migration, spatial dynamics, and population linkages of white sharks. Science 310:100-103. Campana SE, Joyce W, and Fowler M. 2010. Subtropical pupping ground for a cold-water shark. 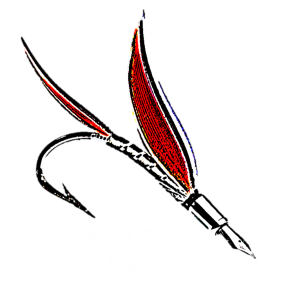 Canadian Journal of Fisheries and Aquatic Sciences 67:769-773. Eckert SA and Stewart BS. 2001. Telemetry and satellite tracking of whale sharks, Rhincodon typus, in the Sea of Cortez, Mexico, and the north Pacific Ocean. Environmental Biology of Fishes 60:299-308. Hammerschlag N, Gallagher AJ, Lazarre DM. 2011. 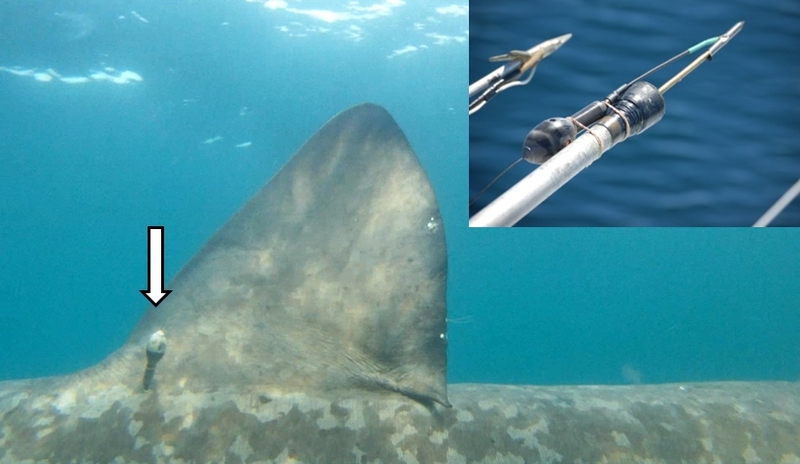 A review of shark satellite tagging studies. Journal of Experimental Marine Biology and Ecology 398:1-8. Jorgensen SJ, Reeb CA, Chapple TK, Anderson S, Perle C, Van Sommeran SR, Fritz-Cope C, Brown AC, Klimley AP, and Block BA. 2009. 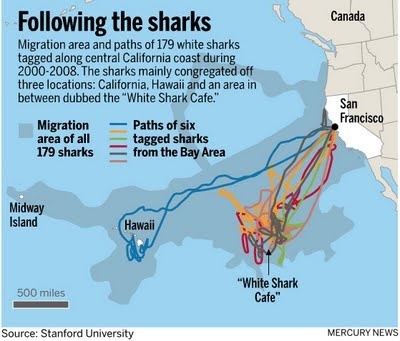 Philopatry and migration of Pacific white sharks. Proceedings of the Royal Society B Biological Sciences 277:679-688. Skomal GB, Zeeman SI, Chisholm JH, Summers EL, Walsh HJ, McMahon KW, and Thorrold SR. 2009. 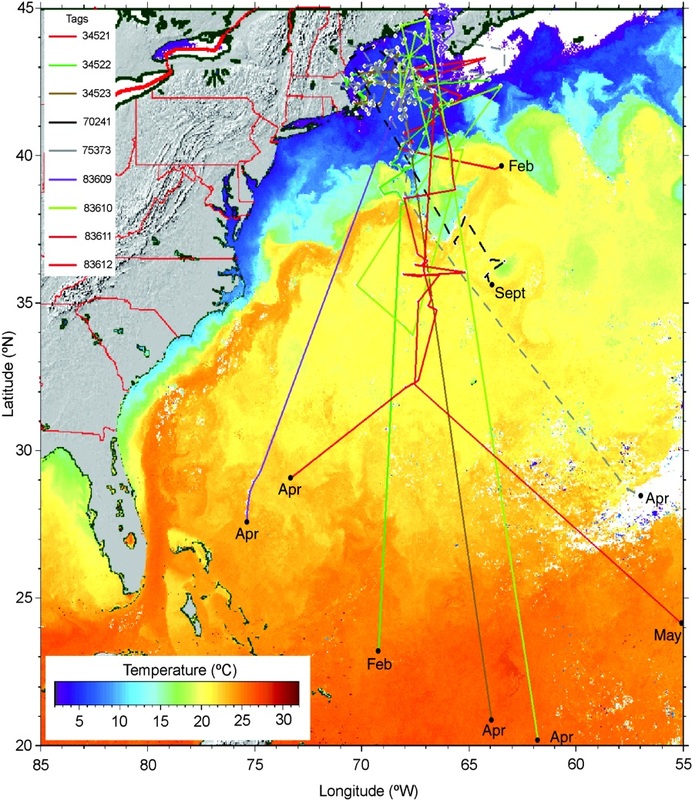 Transequatorial migrations by basking sharks in the Western Atlantic Ocean. Current Biology 19:1-4.
a comprehensive catalogue of marine species to sea lovers. You make it enjoyable and you still take cawre of to keep it sensible. it broadly from the United states and You.K. previously this 30 days. and video however, those call for a connect-in installing).